STORY: Active Voice opted to work with films that were captivating, nuanced, character-driven, and focused on timely social issues. STRATEGY: Active Voice created strategies, campaigns, and partnerships that harnessed the power of these stories to help people understand the systems that perpetuated social problems, and what they could do to help solve them. SUSTAINED IMPACT: Active Voice deployed and evaluated these tactics in ways that went well beyond awareness-building to supporting long-term sustained action, movement building, and systemic change. Read more about how Active Voice’s events, strategic partnerships, and tools for dialogue and action helped bring people and organizations together around the country, and explore a selection of campaign materials. From immigration to juvenile justice to food security, the Active Voice team immersed itself in the issues, needs, and cultures of the social movements they collaborated with. In addition to designing multi-film initiatives that were geared toward addressing the bigger picture, they worked closely with every partner to help build their capacity to integrate stories for the long haul. Read more about Active Voice’s key initiatives. 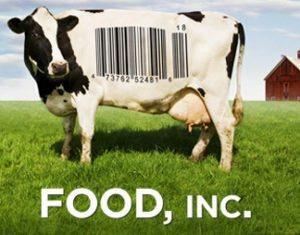 Read more about Active Voice's FOOD INC campaign.